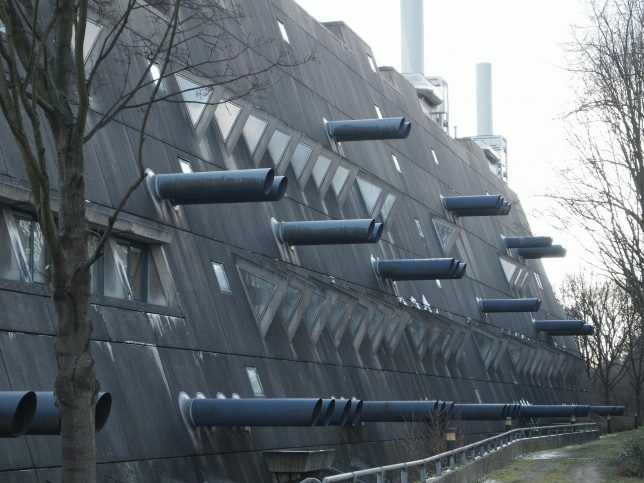 With ominous red lighting, creepy statue adornments, ventilation pipes resembling cannons and spaceship-like silhouettes, these buildings put off some seriously evil vibes. 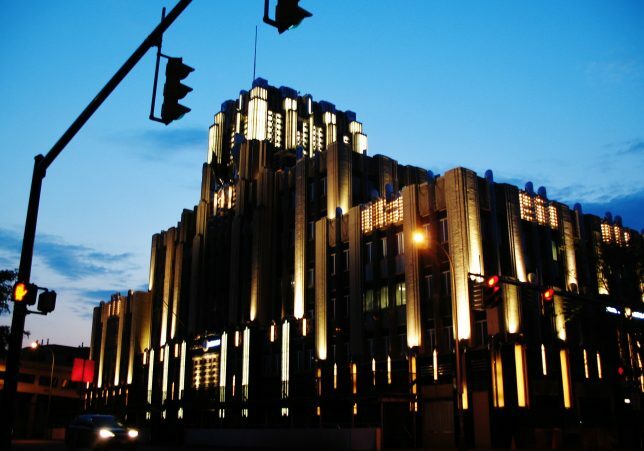 It’s hard to imagine how the architects failed to realize they were designing oversized haunted mansions, battleships, missile launchers, murder hotels and the Eye of Sauron, but as the subreddit r/evilbuildings illustrates, there are a whole lot of villainous-looking buildings in the world. Check out Reddit for dozens more. 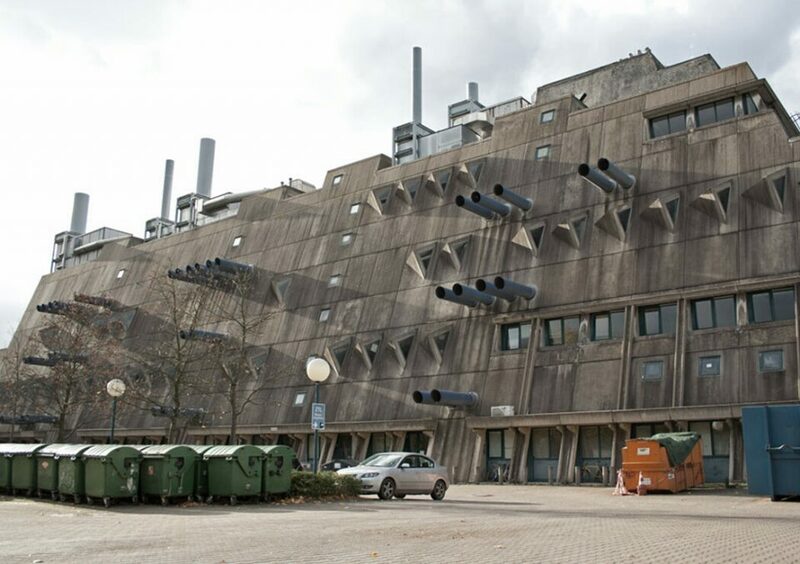 Completed in 1972 to house animal research facilities, Berlin’s Research Institute for Experimental Medicine is a bizarre Brutalist wonder. 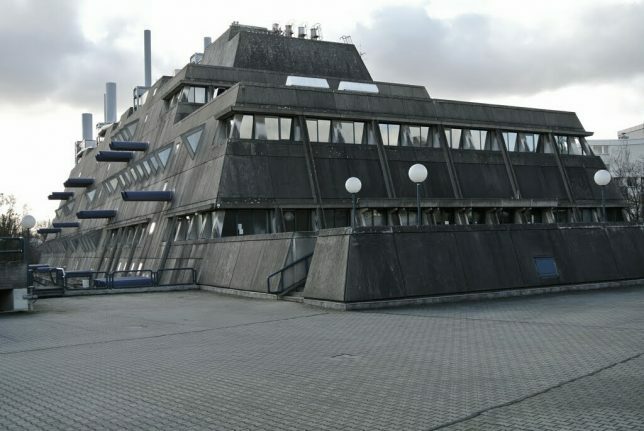 Its shape coupled with a multitude of ventilation pipes sticking out of the exterior walls makes it look more than a little bit like a battleship – even the globes of the lamps outside could be mistaken for cannonballs in mid-flight. 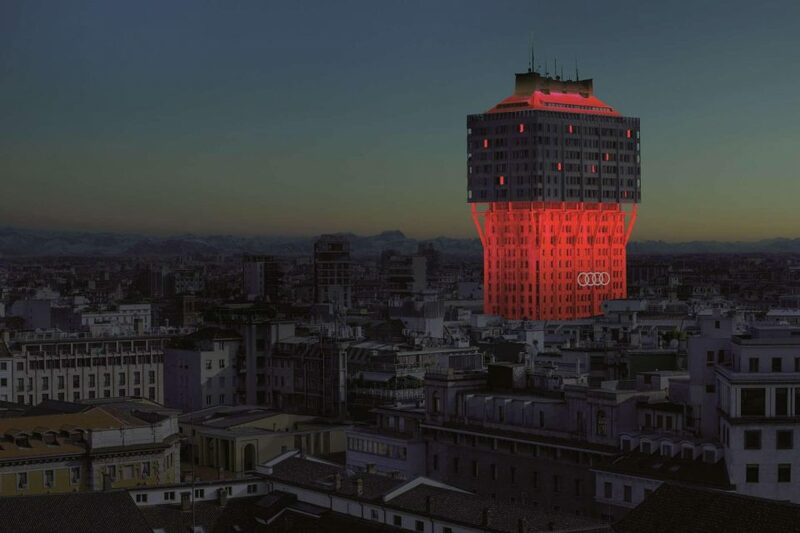 One ring to rule them all! By day, the Kingdom Centre tower looks pretty benign. 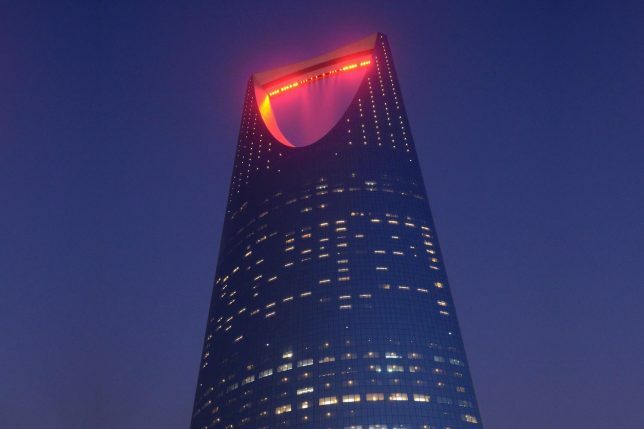 But at night, the skybridge at its pinnacle lights up in various colors, and when this photo was captured, its red glow made it a dead ringer for the Eye of Sauron. 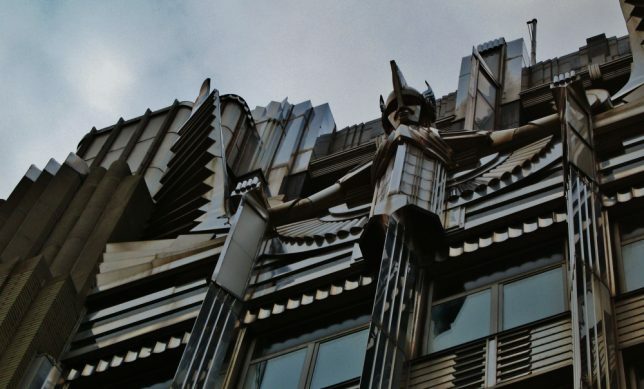 This beautiful Art Deco building in Syracuse, New York cuts a dramatic silhouette when illuminated after dark, and the winged statue on the front – which is meant to symbolize lightning – has a bit of a foreboding feel to it. 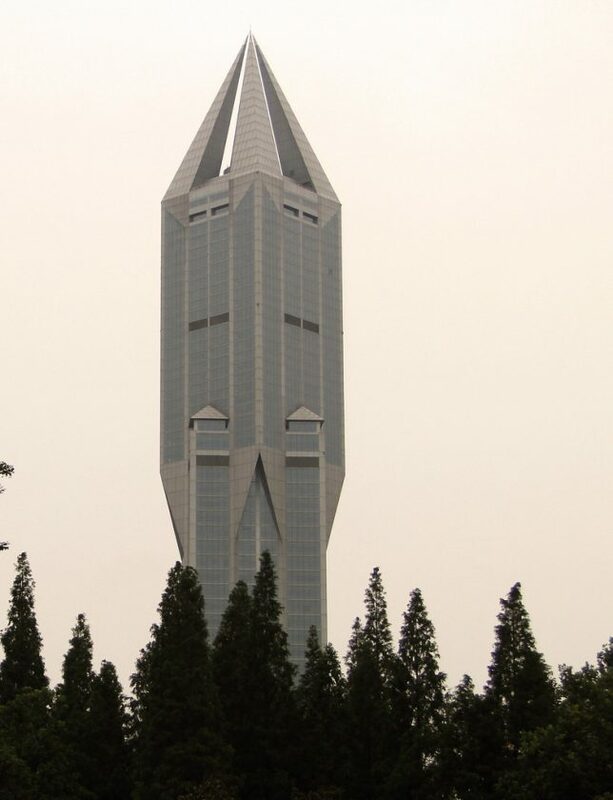 Does this building make anyone else think of the muggle-squashing ‘Magic is Might’ monument that appeared in the movie Harry Potter and the Deathly Hallows: Part 1? 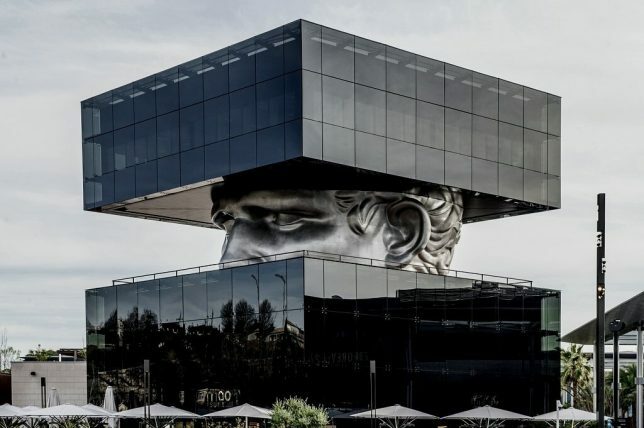 It doesn’t help that the expression on this colossal man’s face looks anguished as he peers out from between two sections of the building. 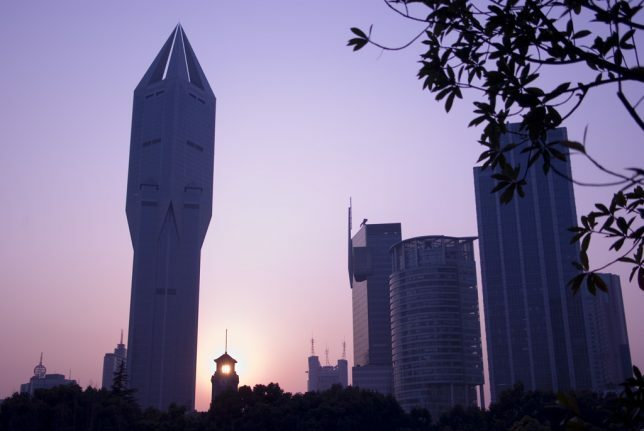 Many people have rightly pointed out that the tip of the Tomorrow Square Building in Shanghai looks like it’s about to launch a nuclear weapon into the sky any time now.